Florence "Flora" Edwards was the first child born to Moses Pinkney Edwards and Annie Beauford Wherry. Flora was born 27 Jul 1901 in Catawba County, NC. Moses and Annie had at least eight children. 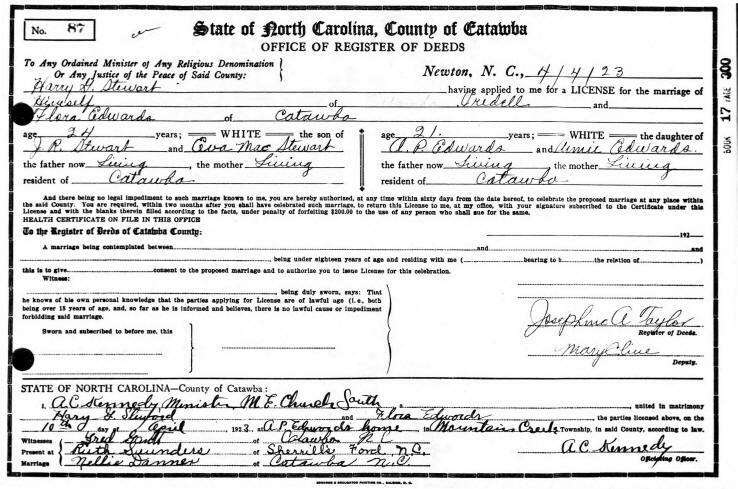 The 1900 Catawba County Census shows Flora's parents, (Moses) Pinkney and Annie, living near her grandparents, Miles and Sarah Allen Edwards, in the Sherrills Ford Precinct. Pinkney and Annie had been married fore less than a year and had no children. By 1910, Moses Pinkney and Annie Beauford Wherry Edwards had four children: Flora (age 8), Willie (age 6), Preston (age 4) and Miles (age 1 year and 9 months). The census also shows that all were born in North Carolina except for Annie - who was born in South Carolina. The 1920 Census shows Pinkney, Annie and the family living on the Catawba Road of the Mountain Creek area of Catawba County near his brother Fritch. Pinkney and Annie had eight children: Flora, Willie, Preston, Miles, Mitty, Ollie, Robert Hope and Inez. Flora was 18 years old. 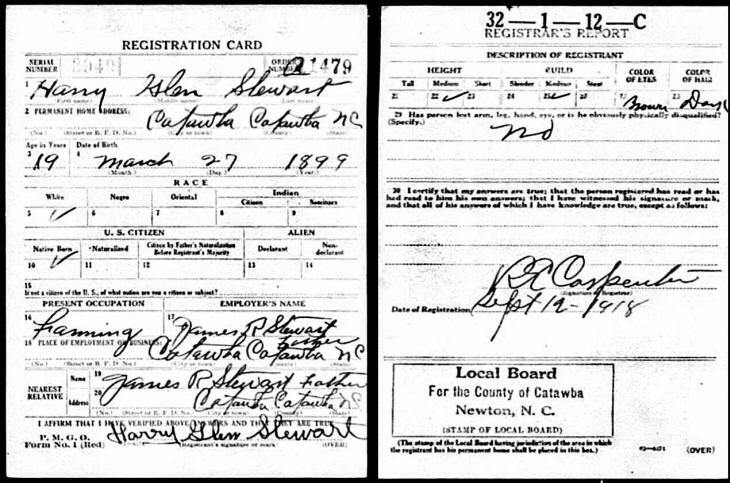 Flora married Harry Glenn Stewart 10 Apr 1923 in Catawba County, NC at the home of Flora's parents. She was 21 and he was 24. 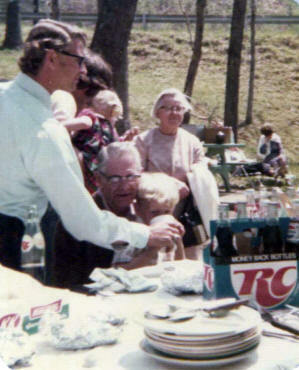 Harry was born 27 Mar 1899 and was the son of James R. Stewart and Evae May Bynum. The couple had no children. Harry's World War I Draft Registration Card shows that he was born 19 March 1899 and that he was 19 years old at the time of his registration with brown eyes and dark hair. He was working as a farmer for his father James R. Stewart. The 1930 Iredell County Census shows Flora and Harry living in the Shiloh Township of Iredell County, North Carolina. He was 31 and working as an electrician for Duke Power and she was 28. 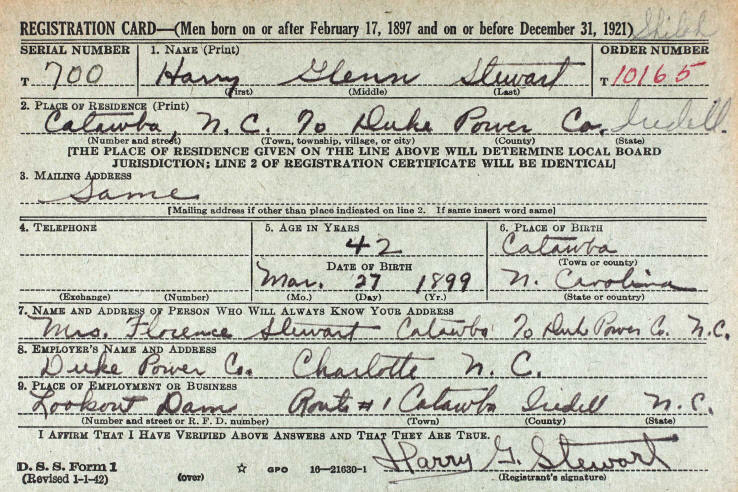 Harry registered for the Draft during World War II at the age of 42. He was working at Duke Power Co at the Lookout Dam Location in Catawba County, NC. Flora and Harry traveled all over the United States. She collected miniature glass shoes (similar to the ones in the photo below) from the various places they visited and displayed many of them in a curio cabinet in the living room. She even had a full-sized set of wooden Dutch shoes. 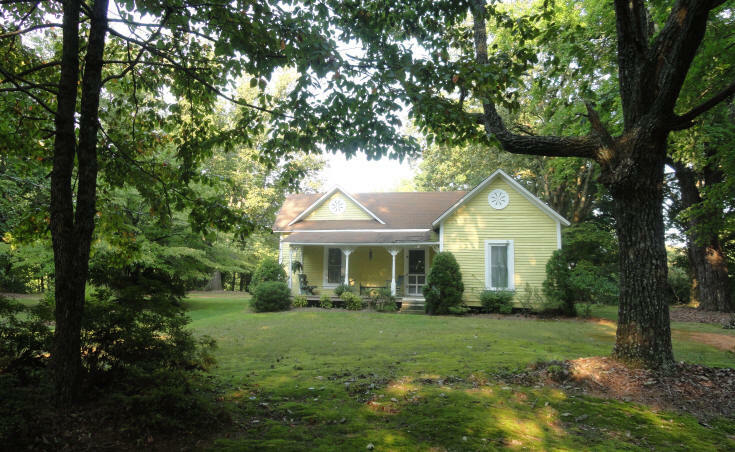 The 1940 Census shows that Harry and Flora are living on Sharon School Road in the Shiloh Township of Iredell County, NC. He was 41 and she was 38. 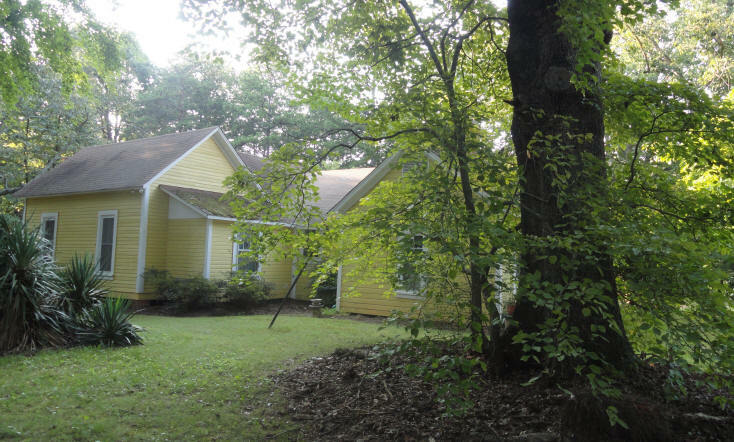 They were renting their home and he was working as an "Operator" at the "Power House" (or Duke Power). Harry had completed 7 years of school, while Flora had completed 3 years of high school. Harry died on 19 Dec 1954 at the age of 55. 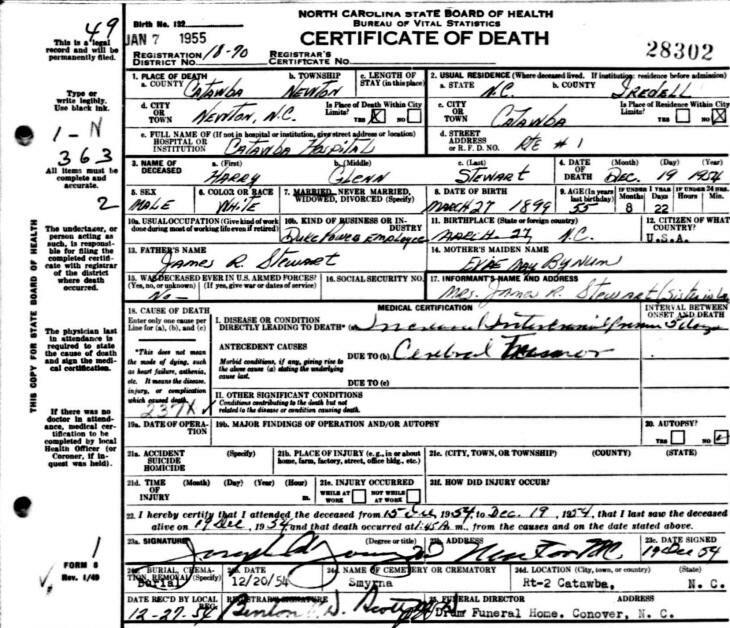 His Death Certificate lists the cause of death as "Increased Intracranial Pressure" caused by a "Cerebral Tumor". 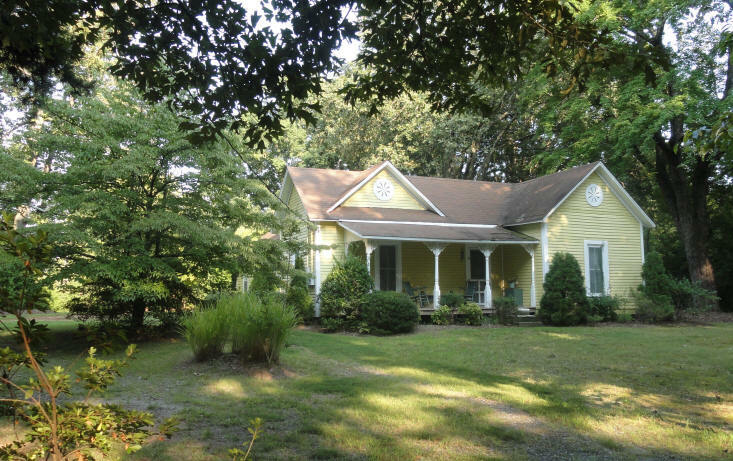 The quaint, one-story frame cottage stands at the corner of of the intersection of NC Highway 10 and Hudson Chapel Road. 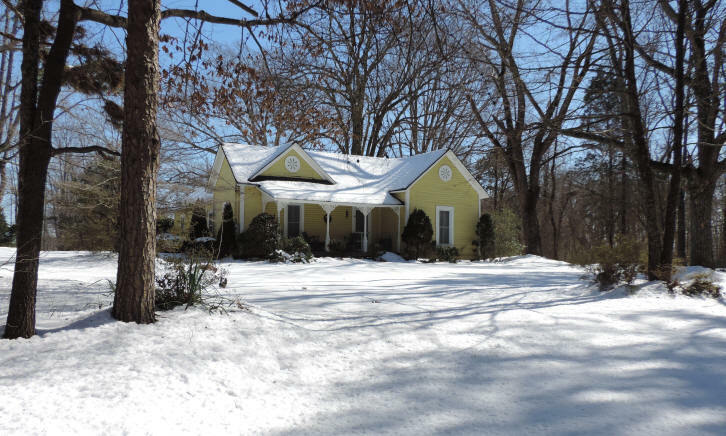 It is three bays wide, weather-boarded and built with a front-gable L-plan. 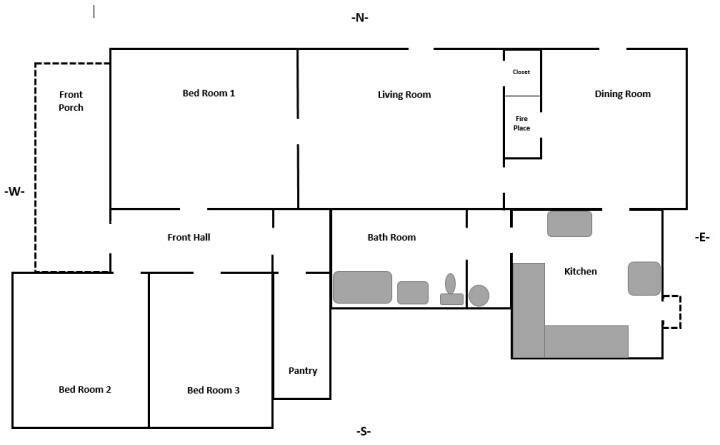 A rear addition was made sometime after the original circa-1900 construction. 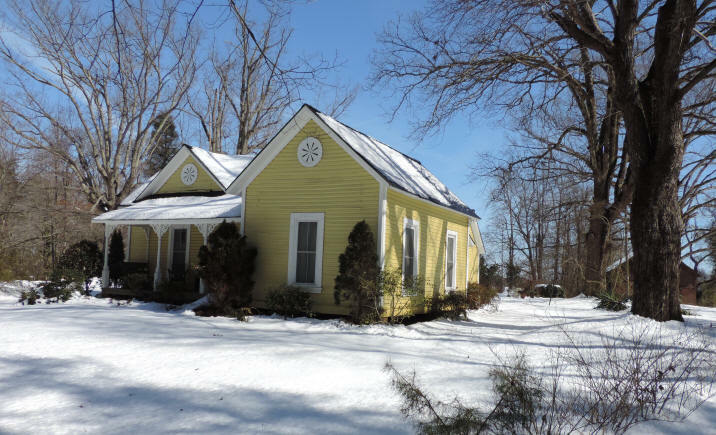 A gable roof dormer balances the gable front and both gables feature circular ventilators. The front porch roof is supported by turned posts, with sawn brackets. 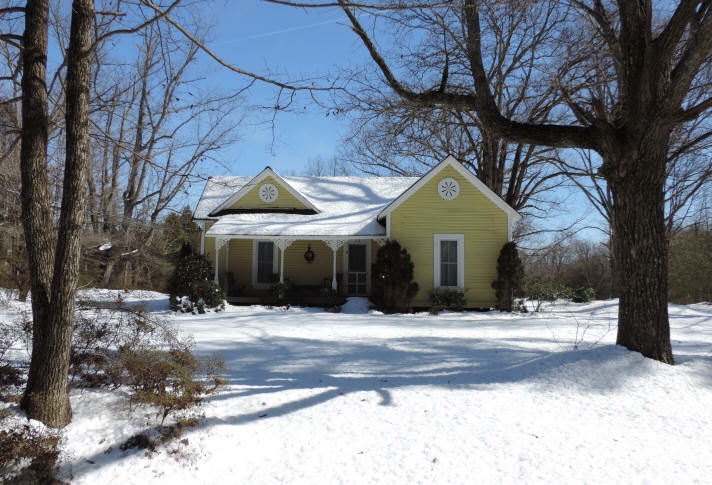 The house was built by a local carpenter, Alexander Gabriel, and shortly thereafter sold to Mr. James R. Stewart. 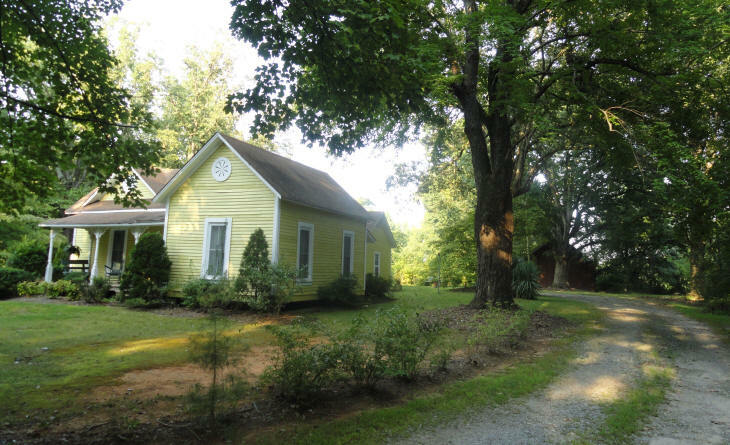 At one time, the property had a barn as well as a well-house that was built over old well. Flora would can fruit and vegetables and store them in the cool well house for later use. 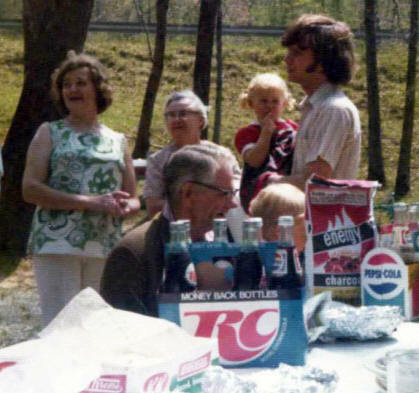 In 1974 when Curtis Loftin was home from college visiting with his family, they decided to go to Connor's Park & the Bunker Hill Covered Bridge for a cookout and picnic. Flora was a second "Mama" to Curtis so she was there, too. Flora made birthday, wedding and anniversary cake for many people in the community. When Curtis Loftin and Carolyn Weeks got married in 1975, she was ready to make a cake for them, too. 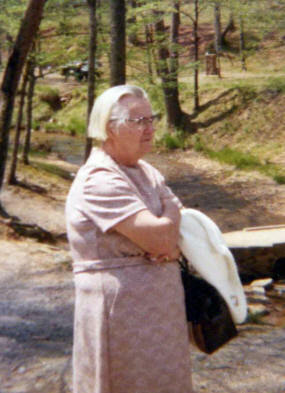 Flora went into the Catawba Hospital at the age of 76 to have her bladder "tacked up" and died 02 Jan 1977 of complications associated with the surgery. She is buried at Smyrna Reformed Church in the Sherrills Ford area of Catawba County, NC. To my knowledge, there is no blood relationship between Flora Edwards Stewart and the Loftins, Setzers, Gobles or Johnsons. Then why did I create this page for her, you may ask? Well, that's simple. I loved her and she had no children of her own. This is simply a "Tribute Page" to her memory and her family. 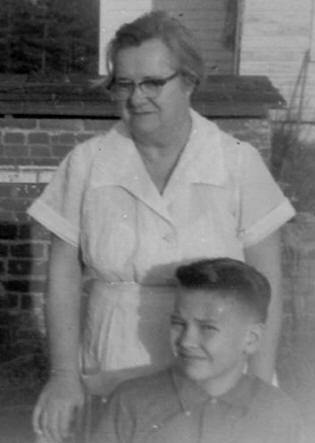 Mrs. Stewart, as I called her, played an important part in my life - especially my early childhood. She was my second mother, keeping me in her home when I was a baby and toddler. My parents, Sam William Loftin and Willie Aleen Goble Loftin, moved to Rt. 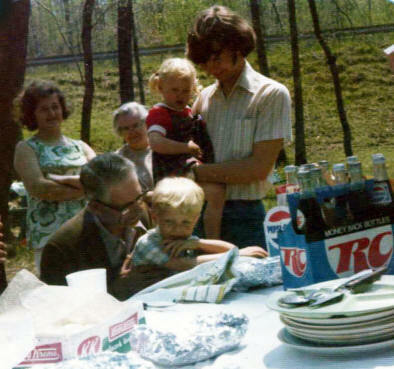 2 Catawba (currently 5151 E. NC 10 Hwy) the year after I was born. I have no recollection of Mrs. Stewart's husband, Harry Stewart, however. He died in 1954 prior to the time that she kept me. Mrs. Stewart was a short woman in stature, probably only about 5 ft. 2 inches, but her love and kindness made her seem like a giant to me. 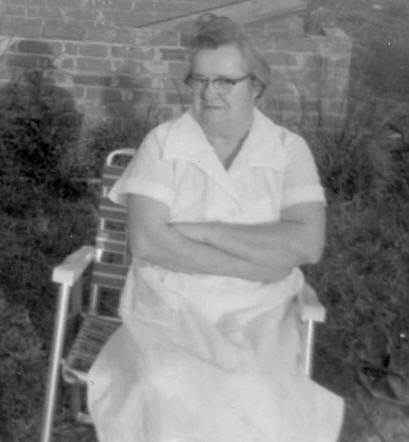 One of the ways that she supplemented her income after Harry's death was by cooking and baking for the community. She made wonderful homemade cakes, cookies, pies and fudge which she sold to everyone for miles around. I was never lacking for sweets to eat because she always trimmed the cakes so that they would be perfectly flat before she iced them - and I always had my share of cake scraps as well as extra cookies. It was she who taught me my nursery rhymes as a child. I'd sit on her lap in the big rocking chair in her living room and hear all of the now familiar rhymes - Humpty Dumpty - Jack & Jill - Peter Peter Pumpkin Eater - Bah Bah Black Sheep - Sing a Song of Six Pence - and many many more as she'd rock me to sleep. She told me how I'd sit on the steps outside the kitchen door on Monday morning after I had been in church on Sunday - and how I'd sing all the church songs that I was beginning to learn in Sunday School - including "Jesus Loves Me" and "Jesus Loves the Little Children". I remember her laughing and telling me that when I was little and she'd ask me what I wanted for breakfast, I'd tell her I wanted an "agg"(egg). 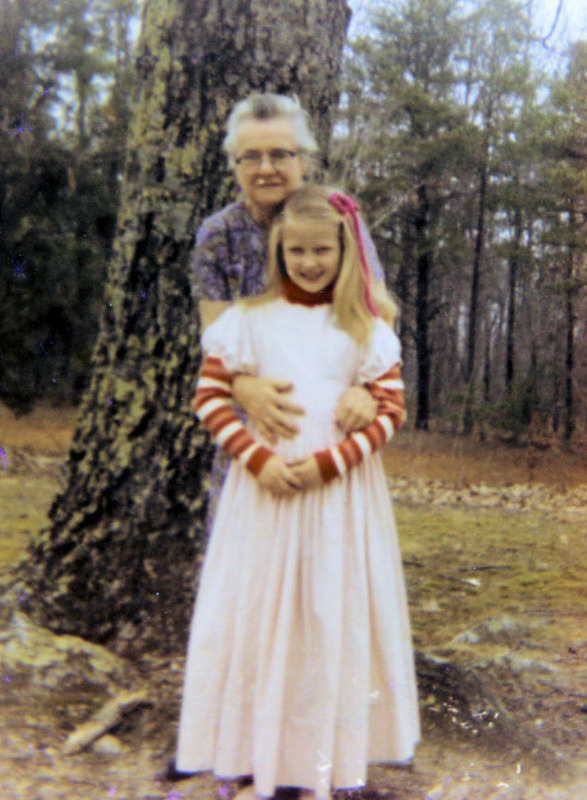 When I was about 4 or 5 years old, Mrs. Stewart accepted a job as cafeteria manager for the local Catawba Elementary School - and I got a new daily baby sitter, Mrs. Preston (Maggie) Brown, who lived on Murray's Mill Road. Mrs. Stewart never stopped baking at home. I always had a "free" cake for my birthday - and presents when I was a child at Christmas. 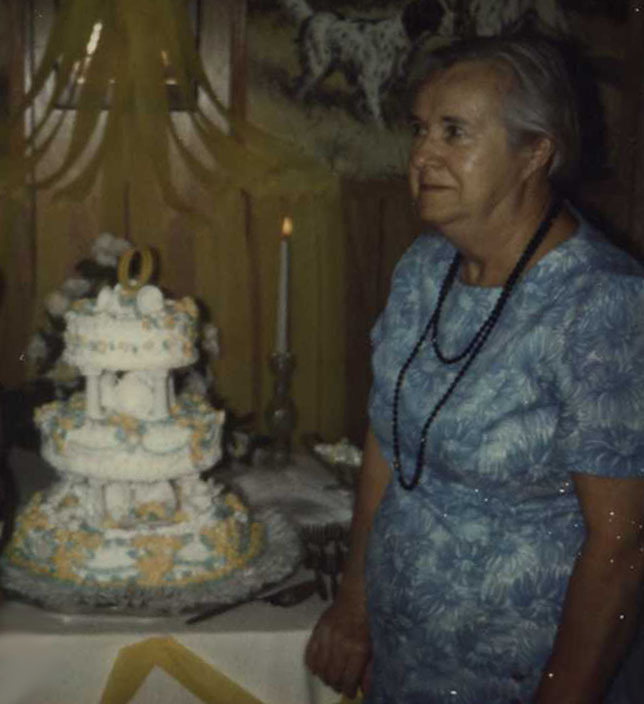 Mrs. Stewart was also the person who made my wedding cake when I married Carolyn Weeks in 1975. I loved to help clean her house - and she was always willing to let me do just about anything as I cleaned - including moving the furniture. Did she spoil me? Most definitely! Did she love me? Absolutely! 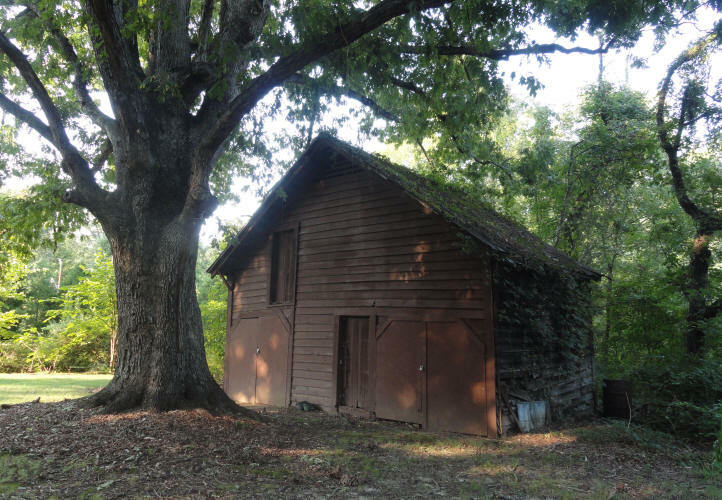 One of my favorite places to play was in the old barn on the Stewart property. There were stalls for animals and a loft with hay - but I don't ever remember her having any animals in the barn. To me, it was a magical place where I could play and let my imagination run wild. Mrs. Stewart had a small garden on part of the property where she grew vegetables and lots of flowers. 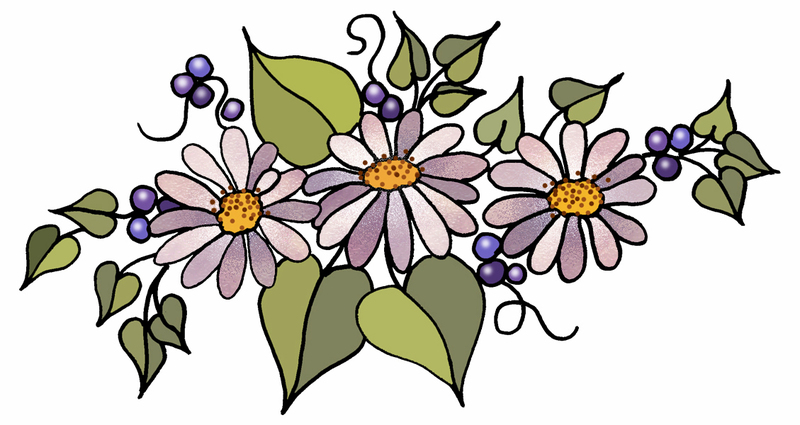 She loved flowers and had all kinds - including Iris, Zinnias, Daffodils and Lillys. I loved to play in her yard, too. The oak trees there were very old and very tall. 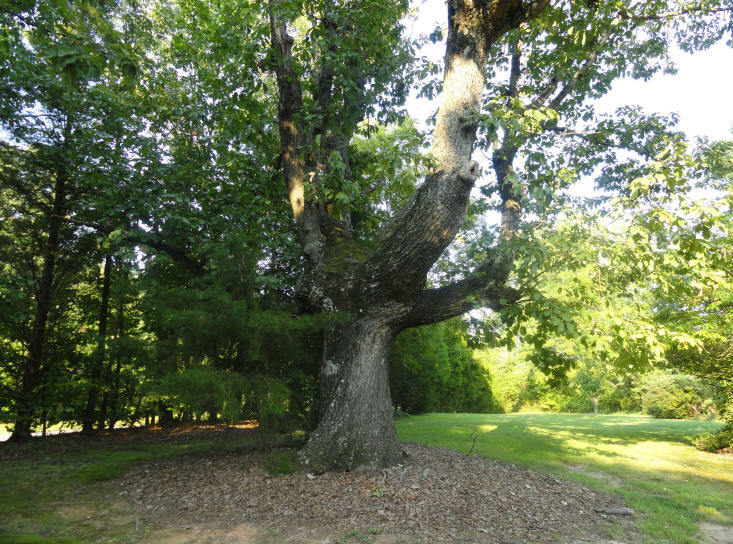 One particular tree had 3 or 4 branches that flattened out horizontally about 8 feet up and made a wonderful place for a tree house. With an old ladder that belongs to dad and few personal belongings, I'd spend hours up in the old tree. Mrs. Stewart taught me how to take big leaves from the oak trees and use small twigs to attach them together to make a hat. She also taught me how to look for or "doodle" for "doodle-bugs" in the sand as well as the chant that went with it. "Doodle-bug, doodle-bug, please come out, we're going downtown" or "Doodle-bug, doodle-bug, please come out, your house is on fire" (which you'd say while stirring the sand with a small twig and looking for the doodle-bugs. Doodle-bugs were actually *Antlions. As I grew slightly older, she even let me sew on her electric sewing machine - and gave me scraps of fabric to use if she had them. As the years passed, I eventually met and got to know many members of her family - Robert Wherry Edwards (the nephew who lived with her and she helped raise) - her siblings Preston (& Naomi) Edwards, Miles (& Sally) Edwards, Inez (& Vernon) Huffman, Willie, Mittie, Ollie, and Robert Hope (who also lived with her off and on). I didn't stop spending time with her even as I grew older. I'd go to her house and spend hours visiting, talking and watching TV. It was on her old small black and white TV that I first watched the original "King Kong" from 1939, most of the "Tarzan" movies - as well as "Jungle Jim" and "Sheena". I loved those adventure pictures when I was a kid. Even after her death she has still remained a part of me - because I still dream about her from time to time. She was a wonderful blessing to me as well as a loving influence in my life. + Fannie Naomi Sherrill, b. + Sally E. Crews, b.